If you have difficulty accessing any feature or functionality on this website or on any ēCO Credit Union mobile app or tool, please feel free to call us at 205-226-3900 or email us at memberservice@ecocu.org, and we will work with you to provide the information or item you seek through a communication method that is accessible for you (for example, through telephone support). At ēCO Credit Union, we strive to promote accessibility, diversity and inclusion. Our goal is to permit our members to successfully gather information and conduct business through our website and other technology platforms. Whether you are using assistive technologies like a screen reader, a magnifier, voice recognition software, or switch technology, our goal is to make your use of ēCO Credit Union’s technology a successful and enjoyable experience. ēCO Credit Union is actively taking steps and devoting resources to promote compliance with all applicable laws and guidelines. We have engaged outside vendors and consultants to improve the quality and accessibility of our user experience for everyone. We continue to look for ways to improve the member experience. The Web Content Accessibility Guidelines (WCAG) Level AA are considered the standard for website accessibility. We test our website and make improvements as measured against the WCAG standards. 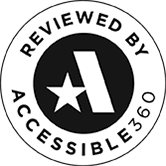 We have engaged expert consultants at Accessible360 and have designated staff members whose assigned purpose is to promote the accessibility of our website and other technologies. This testing includes Live-User Audits, as this has long been deemed the best test of digital accessibility for all users.